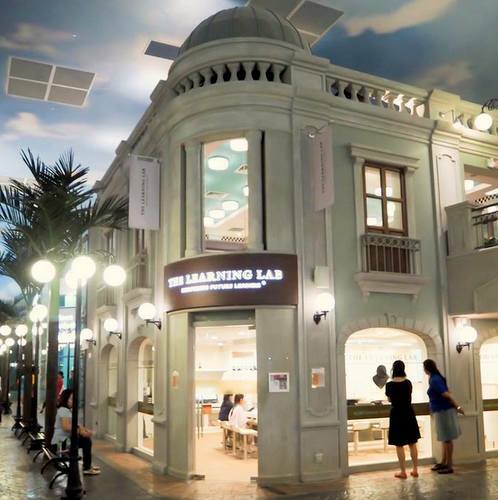 Tuition and enrichment provider The Learning Lab has a network of eight centres in Singapore, including one within Century Square mall (2 Tampines Central 5). Established in 2001, The Learning Lab provides education, tuition, and enrichment programs for students from Nursery 2 to JC 2 (preschool, primary, secondary and pre-tertiary levels), plus classes for GEP (Gifted Education Programme) students and secondary school classes for both the ‘O’ Level track and Integrated Programme. The Learning Lab has become very popular due to their strong track record of preparing students for school & exams and for life. At every stage of the academic journey, children’s needs change. Therefore, the education centre’s curriculum (designed by a team of 50 in-house curriculum specialists) is based on a unique teaching and learning model that gives children the right balance in effective learning and academic performance – by equipping them with the right knowledge, skills and dispositions. The Learning Lab Singapore has an official Facebook page at www.facebook.com/TheLearningLabSingapore/. You can also follow the education centre’s official Instagram account, which in turn is available at www.instagram.com/thelearninglab/.